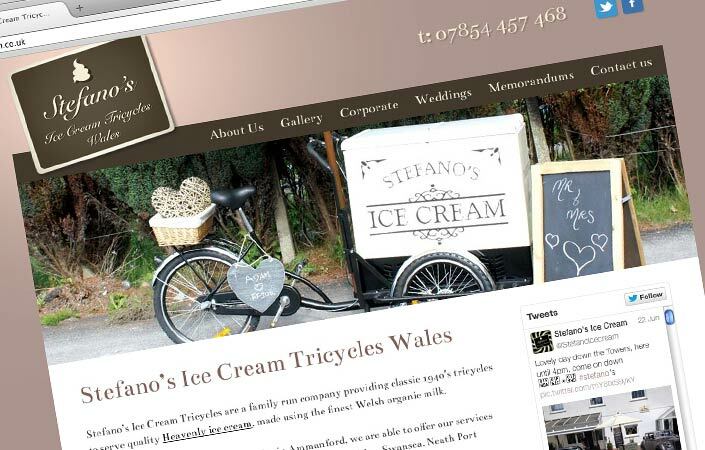 Stefano Ice Cream is a classic ice cream tricycle that comes with a dressed side table to deliver high quality ice cream smothered in a choice of toppings and sauces to ice cream lovers. 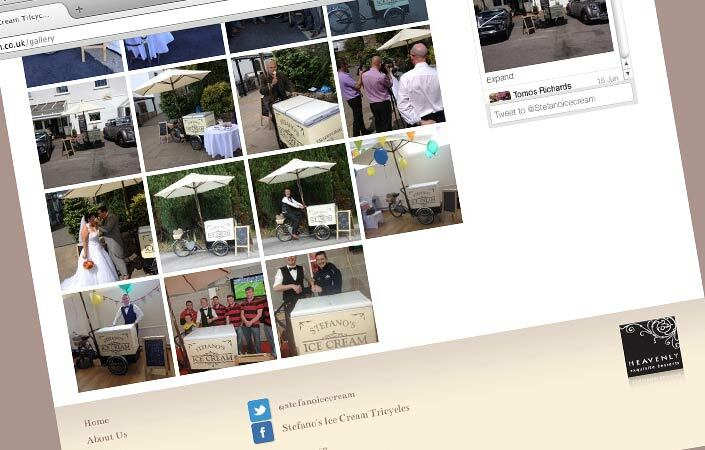 Aimed as a feature at a wedding or convenience at a corporate event, Stefano Ice Cream Tricycle was developed to provide a high quality service serving the best quality ice cream from Heavenly in Llandeilo. 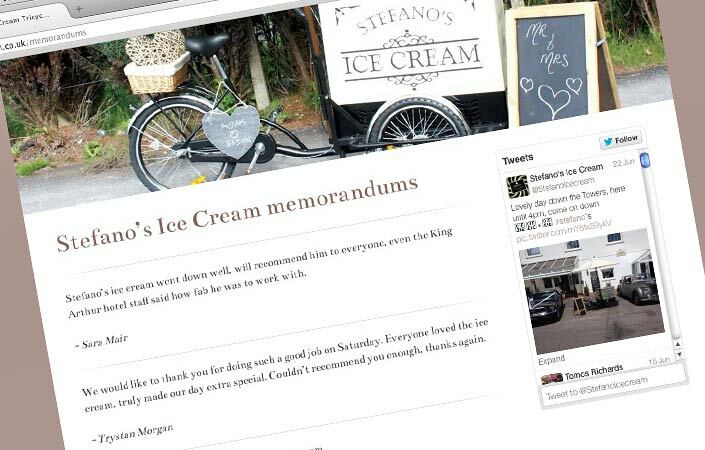 Stefano Ice Cream required a brochure website turned around with a professional finish to compliment the quality of the service that they had to offer across South Wales. The site will initially be their main source of promoting the business over the coming summer months providing valuable information such as updated pricing, gallery of recent events and memorandums from happy customers. 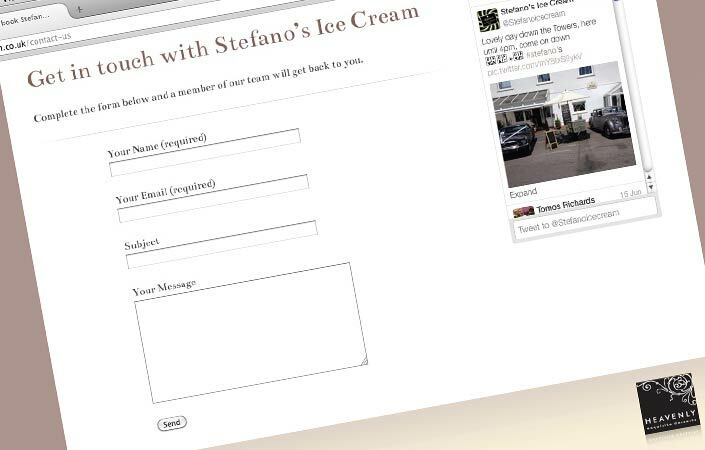 Why not book Stefano Ice Cream for your next event? I have had lots of positive feedback on my price lists and flyers and I would recommend Design Reaction to anyone.